Almost all of the website traffic came from search engines. Any website can be succeeded only when it is appeared on top of search result of major search engines like Google, Bing, Yahoo etc. SEO is the most important for optimizing any website or blog. SEO helps your site or blog to be appear on the top of search result for their keywords. 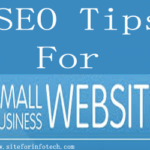 For its successful implementation, it is necessary to understand about best search engine optimization tips and tools. I have listed here some websites which are on the top list for providing SEO Tools, Tips and Training. Majesticseo.com is one of the Top 10 SEO leading site. It provides lots of tools and plugins for effective optimization of any website and to establish them as a leader for their keywords. The ‘site explorer’ tool explores the url or domain in a way to find out great detail about that url. Keyword checker is another great tool provided by the site, which searches the keywords for their frequency and search volume on the internet. Its comparetor tool can compare up to five sites with great detail. It also provides best plugins for Chrome and Firefox to directly find out visited site from the browser. It provides a complete set of all in one full set software application for free as well as pro services. It may be the worlds no. 1 SEO software with full power of Google and other major search engines top ranking. The different applications provided by link assistant are ‘Rank Tracker‘ for keyword research and rank tracking, ‘Website Auditor’ for structure and content optimization, ‘SEO SpyGlass’ for finding out your competitors back-link and ‘Link Assistant’ for all link management task like creating link directory, establishing link etc. It also provides another powerful tool for social medial management called ‘BuzzBundle’ which can find out demands for any topic and keyword on different social media sites, forums and blogs. It is the topmost site for SEO Tools and and services, which was established on 2004 as the name of seomoz.org and came into this stage by improving and introducing new tools and techniques as the time goes. Moz provides different types of free and paid tools for better and effective SEO. Get listed tool, Follower-wonk tool, Open Site Explorer, Mozbar and Mozcast are the free tools and Mentions tool, Search Engine Ranking Tool, Keyword Optimization tool and Keyword Difficulty tool are the paid tools provided by Moz. The free SEO tools provides basic services and paid tools provides advanced and complicated services. It is also the best SEO site among the other sites. It provides lots of tools for the complete and most effective SEO. The tools provided by reventools are Site Auditor Tool, Keyword Ranking Tool, Link Management Tool, Keyword Manager Tool, Backlink Explorer and many more. It integrates data collecting from Moz , MajesticSEO and Google Adword and also provides your keyword ranking on Google and Bing. The Backlink Tool creates valuable links and manages them effectively. The keyword and competitor manager tool manages your and competitors keyword. A free 30 day trial option also available, where you can find out great detail about it and can use the tools on free during the trial period. It is also another great tool for SEO and advertising research. You can check the position of your site for organic search and also for the advertising research, your position changes and about your competitors. You can also check your websites back-links by domain and sub-domain. It is also best for keyword analysis, you can get advanced report about your websites organic keywords, ads keywords, competitors in organic search, competitors in ads and also about publisher and advertisers. You can use almost all the tool even in the free version with limitations. It was founded on 1992 as the name of Radiocom and when it becomes a top international leader on SEO, changed to Webceo in 2000. 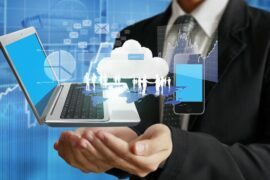 Mainly it provides two platform, one is cloud – based software, which can be accessed on browser and another is windows – based software, where you can use the tools on the limit. The different tools that can be used as a free user are site auditor tool – to examine your site, keyword tool – to find out the more related keywords for a given keyword, back-link checker tool, submission tool, rank checker tool, buzz tracker tool and so more. Smallseotools.com is better for free online SEO tools. It is the newest and fastest growing site for seo tools. It provides different types of tools to optimize your website effectively. The tools provided by it are page rank checker, back-link checker, keyword density checker, keyword position checker, search engine pingler and many more. It is one of the Top 10 site for SEO Tips, Training and Tools. It is specially best for great SEO Tips and Training and also provides lots of free tools. The tools provided by seobook are SEO Toolbar for Firefox, Keyword suggestion tool, Rank checker tool and other premium SEO Tools. You can sign up here for free and can receive hundreds of tools and training on free. It is the must popular and useful site for discussions about search engine optimization. It is very helpful for the beginners and also for professionals for improving their SEO knowledge. You can join on this forum with free for charge to view the discussions and to ask any question relating to SEO. The most popular terms discussing on this forums are Google Search Optimization, Bing Search Optimization, Social Media, Google Page Rank and many more. Lots of of seo tools are available here, you can use them on free. Google back-link checker tool, Google keyword suggestion tool, Page speed test tool etc. are the most important tools provided by seochat. It is also the best 10 seo site for better seo tools and tips. It gives different services like keyword research, competitive analysis of your site, link building, local seo, mobile seo, video seo and so on. It also provides free and instant report of your website. But it does not provide direct tools for simple seo as well as site analysis, link checking and keyword research. It is better for professional services.